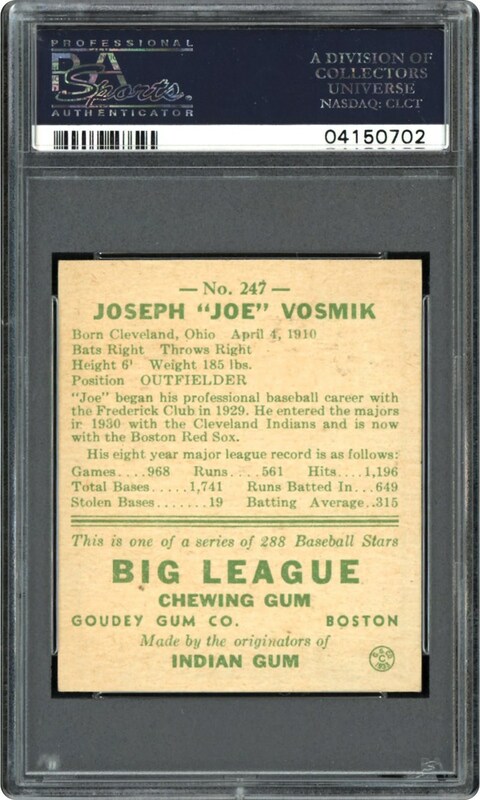 Boston Red Sox outfielder Joe Vosmik is represented here on this remarkable 1938 Goudey PSA NM/MT 8 gem that stands as one of only 5 examples at this exalted plateau with a SOLE copy graded higher. 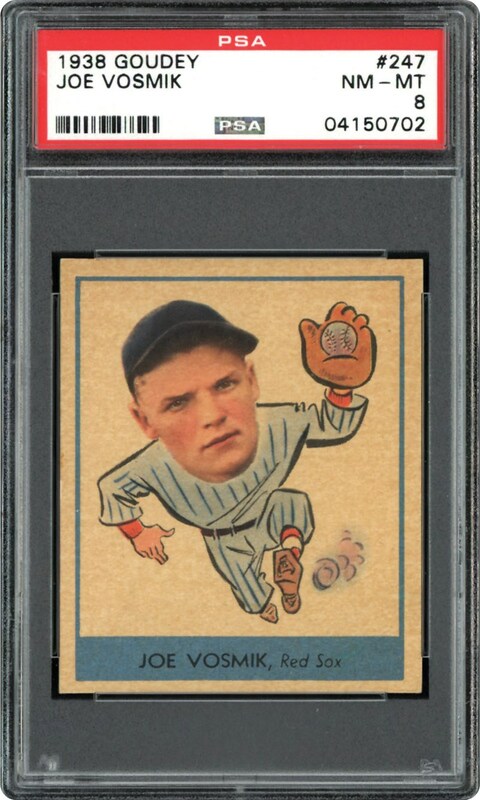 Indeed, finding any 1938 Goudey "Heads-Up" NM/MT 8 subject is an excruciating task with only 7% of the 5,400+ PSA graded specimens fortunate enough to reflect this hallowed assessment. Its robust hues, pinpoint corners and ultra-clean surfaces all support the scarce grade that places this offering as no ordinary common, and a "keeper" for any esteemed 1938 Goudey compilation!